Bitter, Phyllis J. 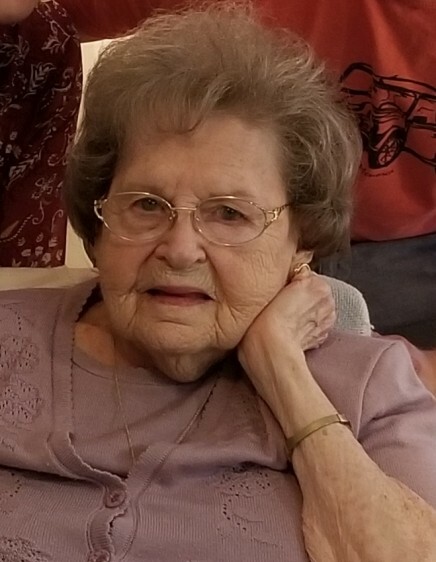 (Swallow) age 93 of Kettering, passed away Monday, March 25, 2019 at Oak Creek Terrace Nursing Home after a short illness. She is preceded in death by her husband of 45 years, Harry C. (1996); parents: Lynas & Nora (Sharrit) Swallow; infant daughter: Diane Jean (1958) and a dear son, David (1980) and a special cousin, Nancy May (1990). She is survived by a dear son and daughter-in-law: Michael & Dawn Bitter of Beavercreek; 2 very special grandchildren: Allison (Brian) Graham, Christopher (fiance’ Heather Lepistro) Bitter all of Texas, step-granddaughters: Jamie DeHaven and Jennifer (Dehaven) Holp (husband, Austin; step-great grandchildren: Willow & Ashlyn Holp, Chloe and Emily Blunk and Shelby Crafton. Several cousins and special cousins: Don and Judy Smith of Kettering, and many dear friends. She was a member of Belmont United Methodist Church since 1959, Graduate of Kiser High School, and member of Legion of Honor Ladies of Antioch Temple. She retired (1990) from Montgomery County Treasurer’s Office after 17 years of service. The family will receive friends from 12:30 PM to 1:30 PM on Thursday, March 28th at Morris Sons Funeral Home, 1771 E. Dorothy Lane, Kettering. The service will be at 1:30 PM at the funeral home with The Rev. Randy Coleman officiating. Burial to follow at David’s Cemetery beside her dear Harry and their two children. The family would like to give a very special thanks to the caregivers at Oak Creek Terrace and Hospice of Dayton, for taking such wonderful care of Phyllis. Memorial contributions may be made in Phyllis’ memory to Belmont United Methodist Church, Boy Scout Troop #45, c/o Belmont United Methodist Church or Shriner’s Children’s Hospitals, c/o Antioch Temple. Condolences may be sent to www.morris-sons.com.